Expand search to view more listings in and around Manhattan. 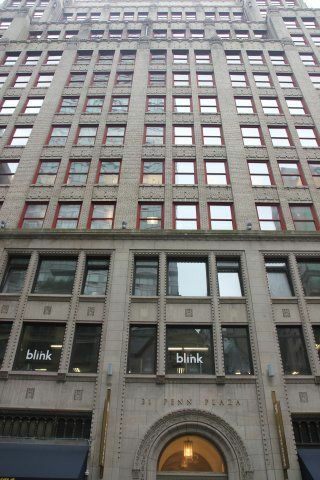 See more offices in and around Manhattan. 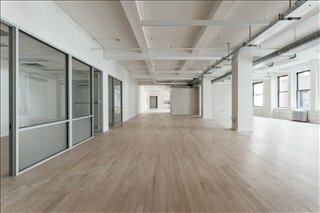 We feature modern office buildings with temporary office space available now, located in Manhattan, NY. This office space is furnished and wired, ready for you to move in, and offers flexible rental terms to suit your business' requirements and budget. 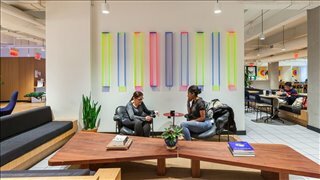 The Offices.net service is designed to get you into the New York office space that your company needs as quickly and easily as possible. 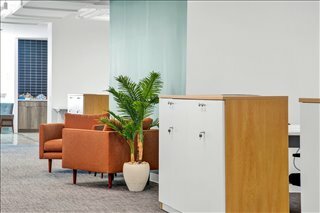 Most of the business centers and featured listings on Offices.net offer move in ready executive suites, private and shared offices for rent that include support services such as a dedicated front desk reception and building security, conference rooms and lounge areas, dining facilities and break out rooms. 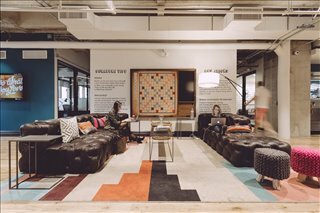 In addition, most of the office buildings and cowork hubs also include high speed internet and network wiring, car parking spaces, all-hours access and onsite IT support staff. Many of them are in a central location near major landmarks like the Rockefeller Center and Grand Central Station and green spaces such as Central and Battery Park with public transportation options easily within reach. 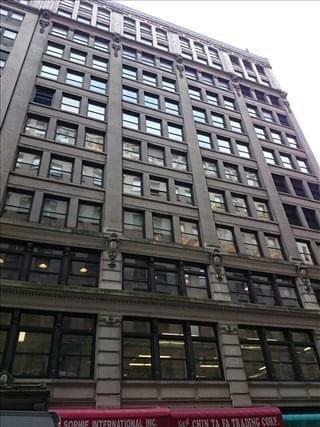 Just select one of the offices to rent in Manhattan displayed above. 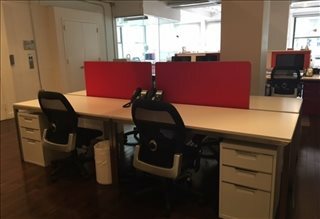 Every office for rent benefits from a central location in Manhattan, with flexible rental terms to suit your office space needs. 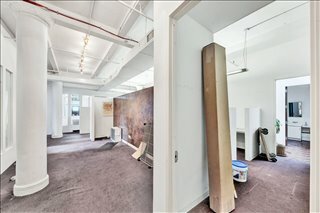 Our featured listings include office space in Midtown, Downtown Manhattan, the Financial District, Theater District, Midtown East, Rockefeller Center, Gramercy Park and many other neighborhoods throughout Manhattan and NYC. 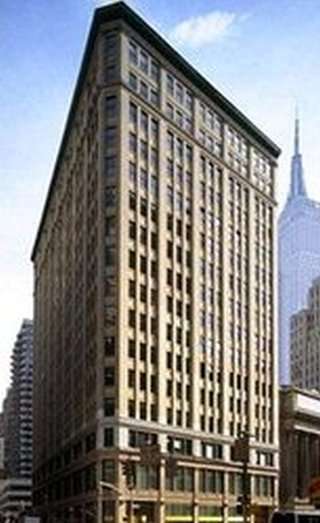 Offices in Downtown Manhattan: comprised of City Hall, Financial District, Insurance District, Tribeca, and World Trade Center. Midtown Manhattan Offices: which consists of Columbus Circle, Grand Central, Plaza District, Times Square, and U.N. Plaza. 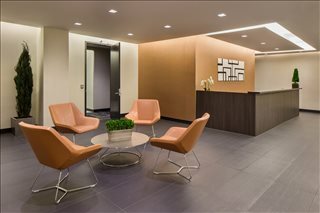 Office Space in Midtown South: which includes Manhattan West / Hudson Yards, Chelsea, Gramercy Park, Greenwich Village, Hudson Square, Murray Hill, Penn Plaza, and Soho. 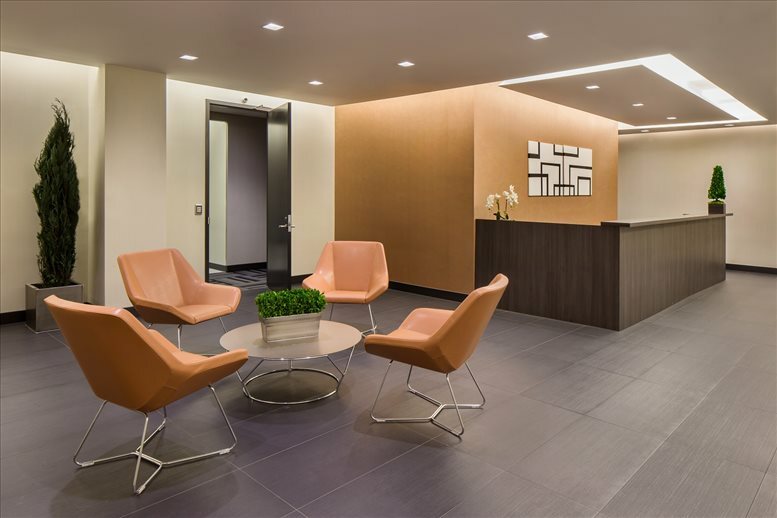 Typical Office Occupier Profile: Legal services and law firms, insurance, real estate, finance, and technology are key occupiers of office space in Manhattan. The majority of deals involve transactions for offices between 5,000 and 14,999 square feet, which account for over 65 percent of all deals. Other noteworthy trends relate to the large scale relocations taking place from other parts of the city to Hudson Yards, an area that primarily drives inquiries from financial and legal firms. In Midtown, most inquiries and transactions involve companies in the TAMI sector (technology, advertising, media and information). 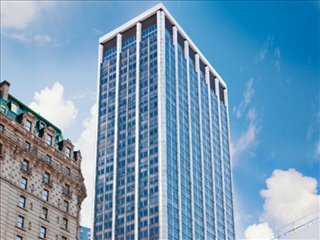 Manhattan Commercial Space: Office Rental Costs & Vacancy Rates: On the whole, market indicators are positive due to ongoing employment gains in sectors that are crucial to Manhattan's office market. Average asking rents are $73 square foot per year and vacancy levels hover at around 10 percent. 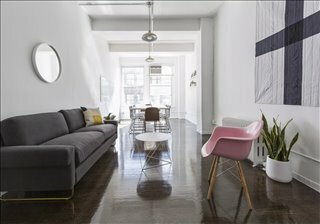 The priciest Class A properties are in Chelsea ($120 square foot per year), Greenwich Village ($116 square foot per year), and Soho ($110 square foot per year), whereas the lowest are in City Hall ($52 square foot per year) and the Insurance District ($54 square foot per year) (2017 data). Market Outlook: The outlook points at further expansion, since the amount of approved renovations and new construction projects located in Manhattan's neighbourhoods totals 33 million square feet, many of which are to be delivered from 2019 onwards -mostly in western sub-markets and lower Manhattan. Overall, office construction in this part of New York City is set to hit record highs in the coming years. Our mission is to help your company find the best work environment, arrange an office rental agreement that suits you, and get you into your new office space as quickly and easily as possible. 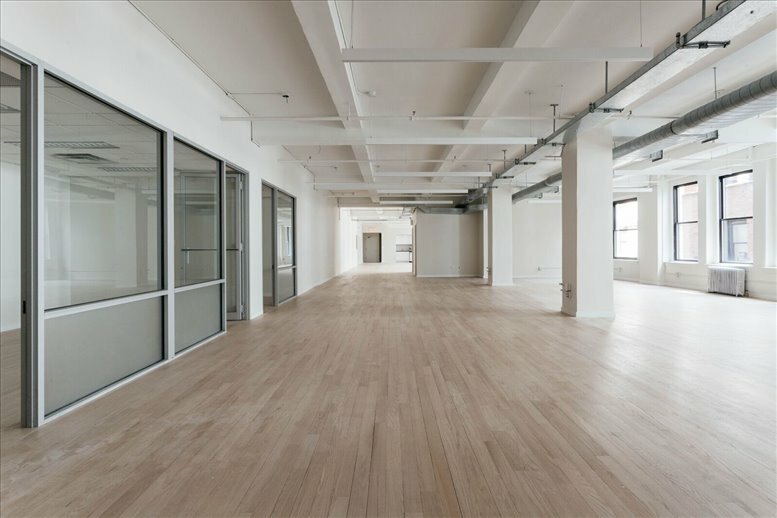 There is a wide range of Manhattan commercial office space available including loft space, furnished offices, conventional office space for lease, shared and creative office spaces and boutique office space for rent. 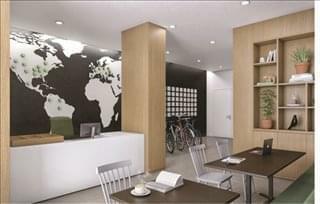 We would be happy to help you navigate the options and find the office that is fits your requirements. Manhattan is New York's economic heart and a global center for business activity. This 22 square mile area is home to hundreds of financial, banking and insurance headquarters, and is also the United States' largest technology hub after Silicon Valley. The local economy is sustained by high-value industries like FinTech, digital media, game development, and biotechnology, but also by other sectors which include retail trade, tourism, accommodation and food services, leisure, entertainment and the arts, which generate almost $100bn a year. Major Employers: Among the more than 300,000 companies located in Manhattan, the largest employers are Fortune 500 companies like JP Morgan Chase, Verizon, Citigroup, Morgan Stanley, Goldman Sachs, MetLife, AIG, and American Express. Corporates dominate the local labor market, whose private sector workforce amounts to 2 million people. Key Industries: Manhattan's high business density and above-average salaries help attract top talent from all over the world, which helps keep unemployment rates at around 4.5 percent. Financial services, TAMI, and the creative sector are driving growth in the local job market. Job creation is highest in accommodation and food services, education, retail, arts and recreation, whereas the number of jobs available in manufacturing, transportation and utilities, and construction is declining. Grow Your Business: The local business ecosystem is driven by tight competition and high innovation, offering support and workforce development assistance via programs like NYC Tech Talent Pipeline or Upper Manhattan Workforce Development Fund. 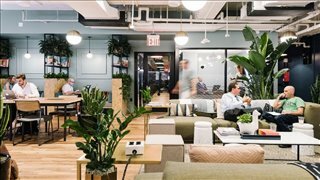 Although the predominant company type are large firms and corporates, almost 25 percent of all Manhattan employees work in companies of 20 employees or fewer, and the area has the nation's second highest small business density rates. Business assistance programs are usually sector-specific, although priority is given to strategic industries such as biotech, digital health, and Fintech. Detailed information about the incentives available can be obtained from the New York City Economic Development Corporation, the Downtown Alliance, New York City Government, and the New York Grant Company. We have an impressive selection of outstanding Midtown office space as well as spaces available in other areas throughout Manhattan including Bryant Park, East Village, Flatiron District, Upper West and Upper East. 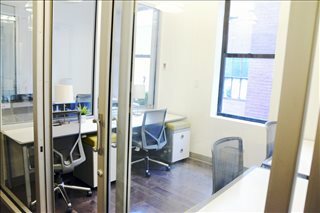 Get a prestigious address by renting executive office space on Madison Avenue and Third Avenue or creative space in the West Village. 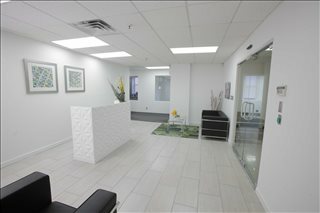 We can help you with renting or leasing office space in Manhattan, New York as well as in other New York City locations. Whatever your office requirements, contact us using the form or phone number above.